(Femont, CA) – Smart Software Testing Solutions (SSTS Inc.) is proud to announce that pCloudy, a cloud-based mobile and IoT application testing platform, will be sponsoring CloudBee’s upcoming Jenkins World 2016 Conference at the Santa Clara Convention Center in Santa Clara, California, on September 13-15, 2016. The key features and capabilities using pCloudy has quickly developed the reputation as the leading mobile and IoT application testing platform. pCloudy provides application developers robust solutions including three testing options: public, hosted, and on-premise. 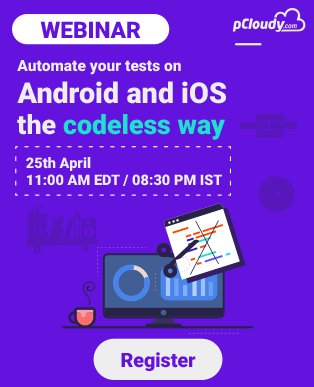 All three solutions allow users to perform functional and performance based testing on real Google Android and Apple iOS mobile devices. 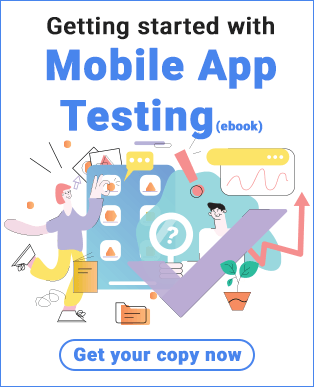 With full debugging features, analytical and performance tools, and recording session videos among other critical features, pCloudy continues to push the boundaries of mobility testing. “pCloudy continues to innovate and push the envelope in the world of mobile testing. This sponsorship allows us to reach some of the world’s leading Jenkins focused application developers and testers to introduce the Jenkins integration within pCloudy. The opportunity to discuss pCloudy with everyone in attendance will be a great opportunity for us.” a spokesman said. Jenkins World 2016 Conference is the flagship event for Jenkins users and professionals hosted by CloudBees. As one of the longest-running events, it brings together some of the industry’s leading thought leaders, practitioners, and solution providers. This year’s event is headlined by Kohsuke Kawaguchi of the Jenkins Project, Sacha Labourey, CEO of CloudBees, and author Gary Gruver. In addition to the headlining presenters, attendees and solution providers come from all wings of the industry. pCloudy will be available for scheduled meetings and walk-ins within the exhibition hall. Please feel free to stop by booth K19 to learn more. pCloudy is the simplest online device cloud, that provides customers with the necessary tools for convenient, effective, and immediate testing for their mobile strategy. It enables continuous development and testing on real mobile devices. Our unique debugging feature for app developers pinpoints potential errors that will significantly reduce costs and time. With pCloudy testing, the reduction in release time allows developers to focus on improved features instead of corrections. Jenkins World will bring together the largest gathering of Jenkins users in the world, including Jenkins experts, continuous delivery thought leaders and companies offering complementary technologies for Jenkins. Jenkins World will provide opportunities for attendees to learn, explore and network face-to-face, as well as to help shape the future of Jenkins. CloudBees, the Jenkins Enterprise company, is the continuous delivery (CD) leader. CloudBees provides solutions that enable IT organizations to respond rapidly to the software delivery needs of the business. Our offerings are powered by Jenkins CI, the world’s most popular open source continuous integration (CI) server. The CloudBees Continuous Delivery Platform provides a wide range of CD solutions for use on-premise and in the cloud that meet the unique security, scalability and manageability needs of enterprises. Our solutions support many of the world’s largest and most business-critical deployments. Year 2018 at a glance!